This is easy to use for everyday. Most everybody needs B12 supplements and I am one! 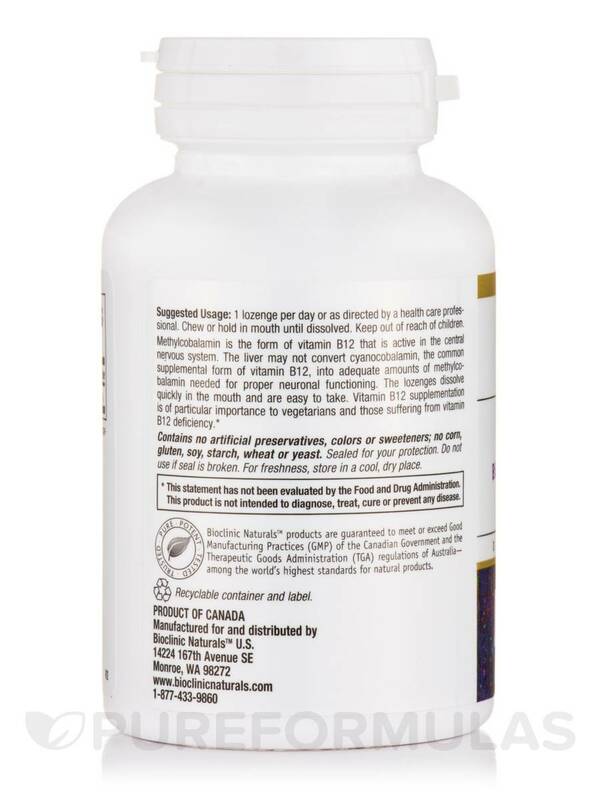 B12 Methylcobalamin 1000 mcg Lozenges by Bioclinic Naturals are a good source of vitamin B12‚ which is a water-soluble nutrient that plays several important roles in maintaining general health. 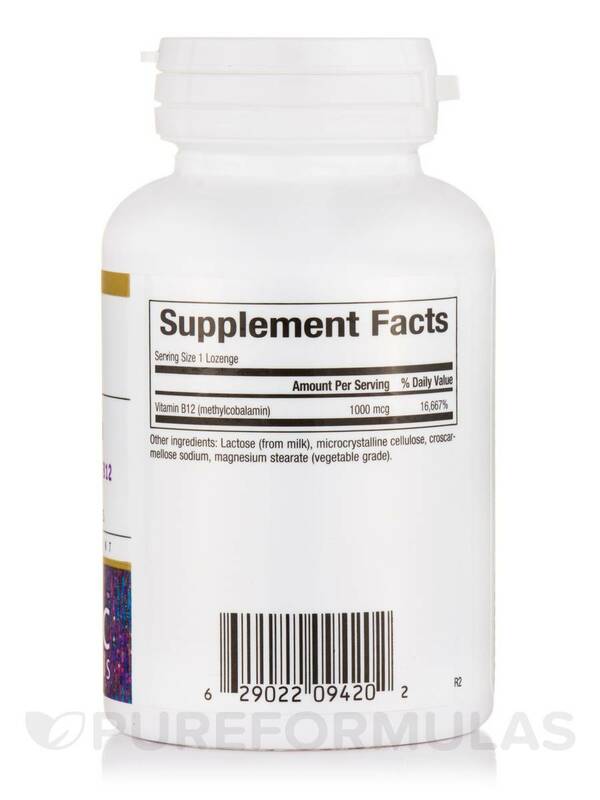 For example‚ B12 Methylcobalamin 1000 mcg might work to support the functioning of your nervous system due to its involvement in manufacturing and preserving the myelin sheaths that are responsible for protecting nerve cells. In addition‚ vitamin B12 may play a role in promoting cardiovascular health by working to manage the level of an amino acid called homocysteine in your blood. 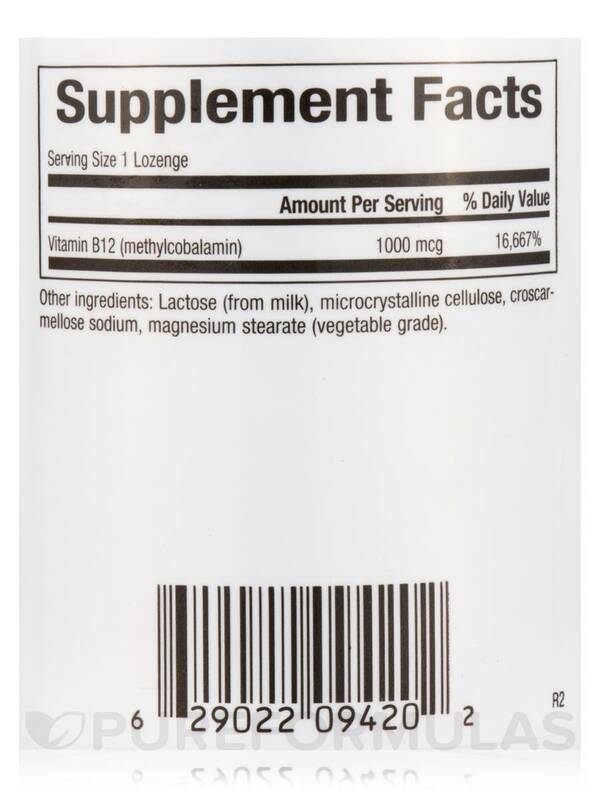 One serving provides 1‚000 micrograms of methylcobalamin‚ which is the active form of vitamin B12. 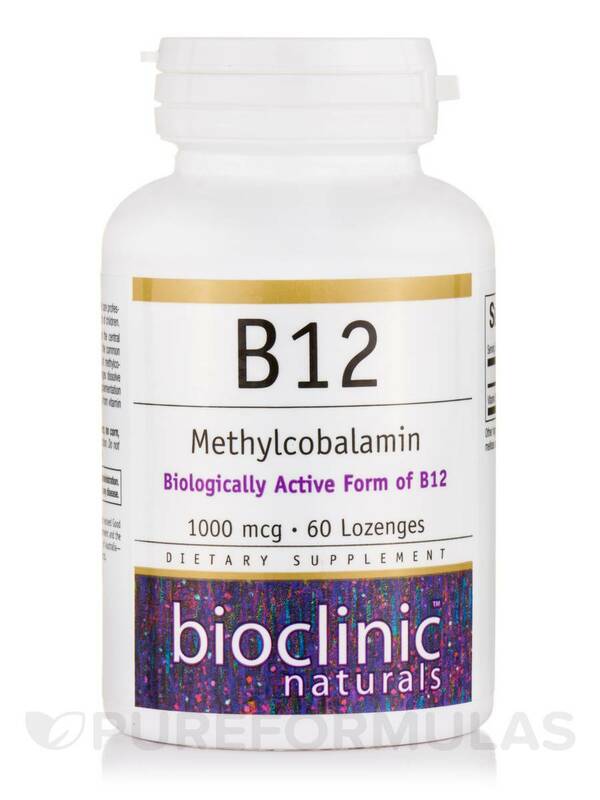 B12 Methylcobalamin 1000 mcg Lozenges provide active vitamin B12 because your body may be able to utilize it more effectively. For the same reason‚ this supplement is manufactured in lozenge form; lozenges may be able to deliver nutrients to your bloodstream more quickly than capsules or tablets. 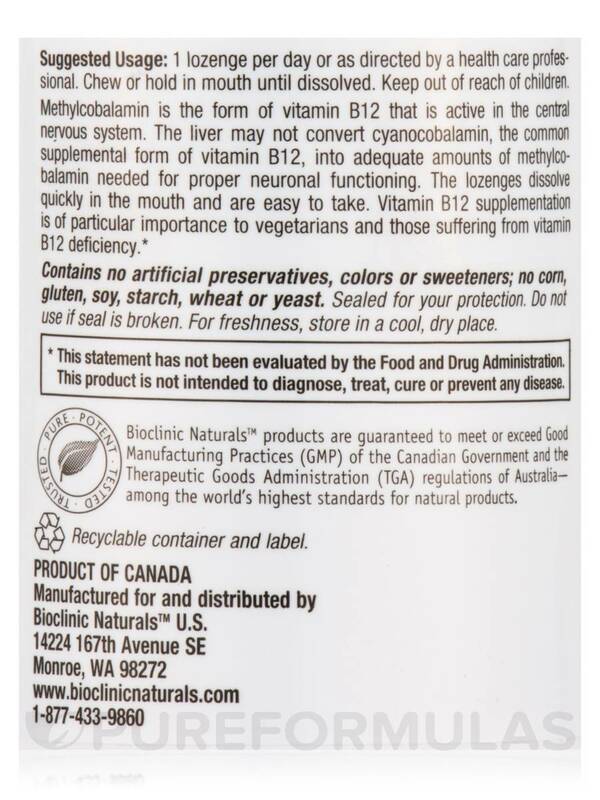 One bottle of Bioclinic Naturals’ B12 Methylcobalamin 1000 mcg contains 60 lozenges; at the recommended dosage of one lozenge daily‚ each bottle should last for about two months. Other Ingredients: Lactose (From Milk)‚ microcrystalline cellulose‚ croscarmellose sodium‚ magnesium stearate (vegetable grade). Contains no artificial preservatives‚ colors or sweeteners; no corn‚ gluten‚ soy‚ starch‚ wheat or yeast. Bioclinic Naturals™ products are guaranteed to meet or exceed Good Manufacturing Practices (GMP). 1 lozenge per day or as directed by a healthcare professional. Chew or hold in mouth until dissolved.